Update that matters: Verizon has made it official. 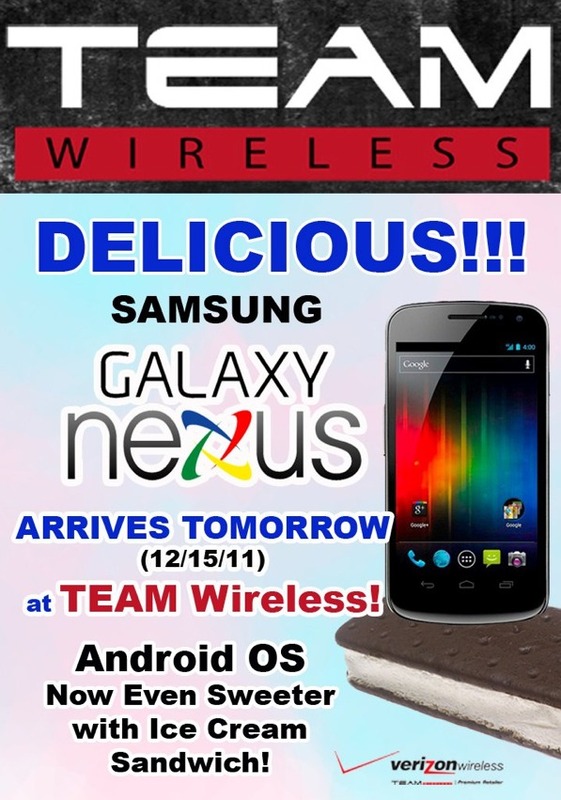 Hands down the best Galaxy Nexus ad to date. Reminds me of a used car spot out of Kalispell, MT. Or better yet, a weekly mattress blowout sale from 1 of the 180 Mattress World locations here in Portland. Would have been nice to see the actual Verizon LTE G-Nex on there though instead of the GSM version. “Android OS now even sweeter with Ice Cream Sandwich!” “DELICIOUS!! !” “ARRIVES TOMORROW.” Classic. Everyone realizes the hilarity in all of this madness now, right? Bravo on the viral marketing job, Verizon. Update: The image below also just came across the wire. If we are just now seeing merchandising emails with 12/15 on them pop up this late in the day that all reference tomorrow as being the day, I’d say tomorrow is almost guaranteed to be the day. I know that we have been surprised enough times to not expect anything until it happens, but man, this looks good, does it not?